Roads boasts a wildly eclectic assortment of songs, ranging from Willie Nelson’s “Always on My Mind” and Lady Antebellum’s “Need You Now” to “Ave Maria” and Damien Rice’s “The Blowers’ Daughter,” with the latter featuring a special guest appearance from Christina Aguilera. 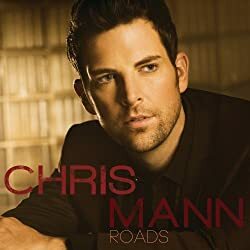 I had never heard of Chris Mann before I was asked to review his CD. He was a contestant on the show “The Voice” last season, and was picked for Christian Aguilera’s team. As soon as I listened to Chris’ version of “Ave Maria” on Youtube I was hooked. The sound on the album is a fun blend of classical (Mann is operatically trained) and pop. Mann co-wrote two songs on the album, “Falling”: and my favorite, “Cuore.” Cuore means “heart” in Italian, and the music is based on Bach’s Air on a G String. “Ave Maria” is one of my favorite songs, and Mann sings it to perfection. His voice is at once both soothing and heartbreaking and the choir backing him up sounds exactly like my vision of a heavenly chorus. A couple of the songs were a little too “poppy” for me, but overall this was a charismatic album that I will enjoy listening to over and over again. I give Chris Mann’s “Roads” four microphones. You can purchase “Roads” on Itunes or Amazon. This is a review post from One2One Network. I was provided with a copy of the album and I am eligible for a prize drawing. All opinions stated are my own. Next Next post: Agree to Disagree – Is That the Question?